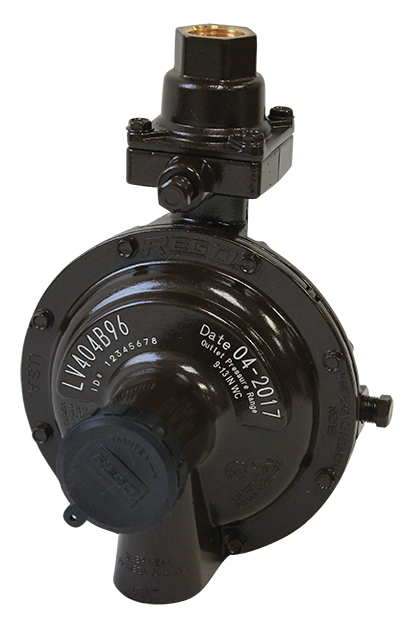 This compact two-stage regulator is designed to reduce container pressure down to 11” w.c. delivery pressure. It is ideal for “on-site” cylinder applications, mobile homes and average domestic service including small ASME and 100 to 420 pound DOT cylinders. 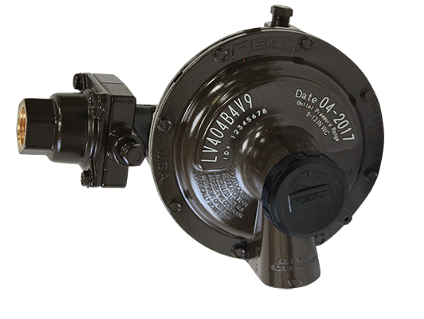 Large vent helps prevent blockage and has ¾” F. NPT for vent piping. 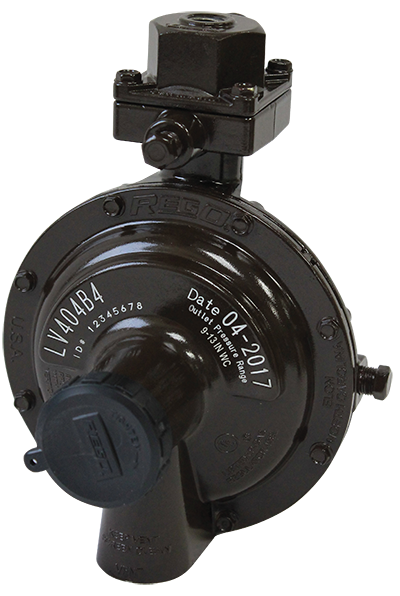 Compact size allows for easy installation — especially under container hoods and within collars. Vent on the first stage is consistently in the down position. Built in pressure taps on both first and second stage regulators have plugged ⅛” F.NPT outlets. Plugs can be removed with a 3⁄16” hex allen wrench.